The trend by voters across the country to legalize marijuana has not caught the attention of investors who want to make the kind of returns not seen since the beginning of the Internet. The marijuana industry is in a serious boom. With cannabis now legal for both medical and recreational use in multiple states and the District of Columbia, the revenue pouring into both company and state coffers has been staggering. Legal marijuana sales could hit $6.7 billion this year, according to Forbes. And with California potentially joining the states allowing recreational marijuana use, profits could skyrocket even higher. If you don’t have the resources or time to start you own marijuana business, looking into buying stock in a cannabis-related business offers a good solution. Investors have a growing interest in getting in relatively early on the marijuana market. Few industries have the same growth potential. But head winds remain. For one, no one knows exactly which states will legalize marijuana. For another, the federal government still classifies marijuana as an illegal drug, meaning financing for new marijuana businesses is difficult because big banks cannot loan money. That might make some leery of sinking a significant amount of cash into cannabis. However, The Street website recently listed three existing companies that could see stock triple with the legalization of marijuana. Scotts Miracle-Gro. The company already made a $135 million investment in two California-based companies that provide supplies such as dirt, fertilizer, pesticides and other products to marijuana growers. Toro Company. Toro provides equipment for large-scale turf maintenance, irrigation and landscaping projects. While the company’s products aim more at commercial growers, The Street reported that if widespread legalization takes place, the company’s share price could triple. SiteOne Landscape Supply. This company, which just went public in May, offers the products offered by Scotts as well as the large-scale focus offered by Toro. The company has an edge in that it is an organic plant product provider. For those who want to investment more directly in the cannabis business, plenty of options remain available. A strategy that some investors consider is “not touching the plant” – investing in businesses related the marijuana business but not directly involved with growing the plant. Those businesses can range from Capsule Consulting Group, which makes gelatin and vegetable-based bottles used to store marijuana, to Canna Flavors, which creates extracts used when making marijuana edibles. 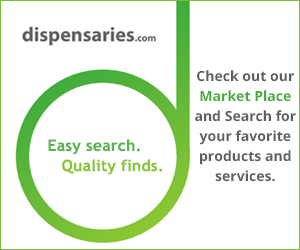 Investments directly into cannabis businesses typically requires looking at the over the counter market. This markets features smaller companies and have far less regulation and transparency than the highly regulated bigger markets such as the New York Stock Exchange or NASDAQ. Obviously more care needs to be taken investing in these businesses. However, several have started to pick up interest among investors, including California cannabis-focused agricultural business Terra Tech and marijuana farming equipment manufacturer Medicine Man Technologies. Another choice are funds that invest in the cannabis industry, including Poseidon Asset Management. For those willing to take the risk, investment opportunities abound. Your move depends on your level of comfort putting your money into an emerging business and faith that the marijuana business will continue to grow.